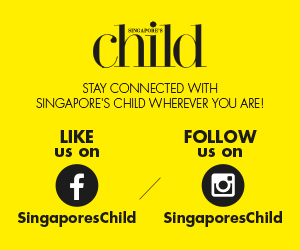 Keeping the kiddos occupied is no mean feat, especially on days where none of their toys make the cut. We make it easier with a list of super easy activities to keep little hands busy and boredom at bay, so you can tackle that mile-long to-do list (or curl up with a good book and a cuppa). 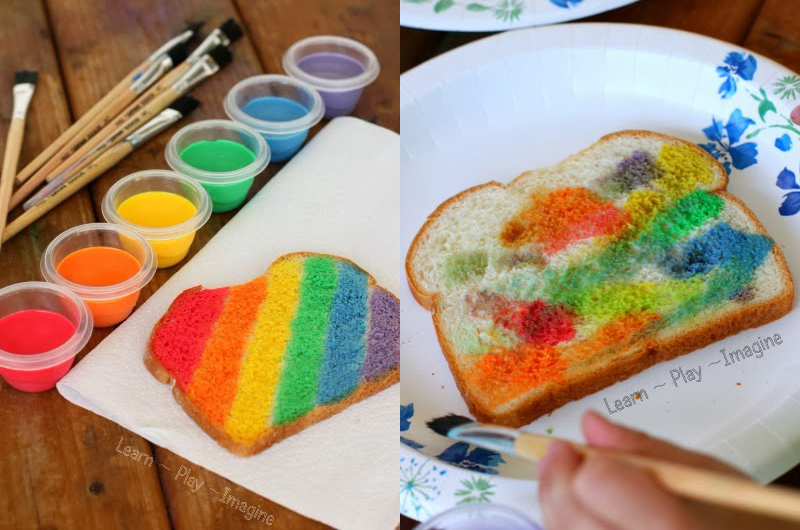 Kids love to play with their own food, so it’ll be an extra treat to let the little ones get artsy with toast. All you’ll need is milk paint (condensed milk mixed with a few drops of food colouring), white bread and clean paintbrushes. As the “paint” is fully edible, it’s totally safe if your little Picasso gets the urge to sample his artwork every now and then. When your child is done, simply pop it into the toaster and commence with snack time after. 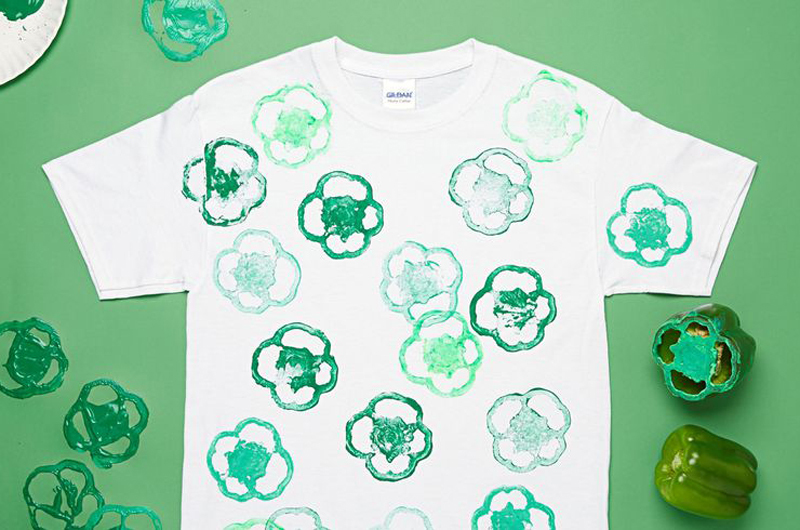 Help your child hone their creative chops with halved fruits and veggies (bell peppers, okra and lime make interesting prints), a T-shirt and some fabric paint. This activity is pretty straightforward, but make sure the ‘stamping’ tool is big enough for little fingers to grasp firmly, and to insert scrap paper between T-shirt layers so paint won’t bleed through. 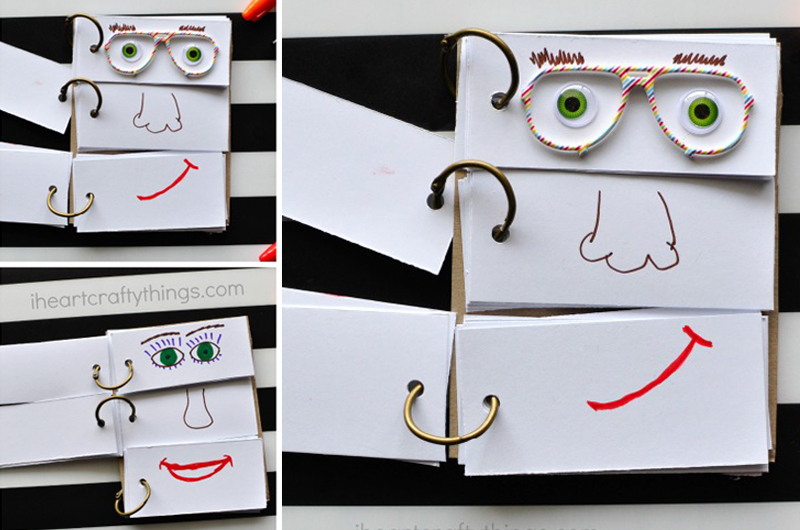 This handy activity allows children to explore different emotions in a light-hearted manner. All you’ll need is a blank spiral bound sketchbook (easily make your own with blank card stock and ring binders), coloured markers and googly eyes or other fun stickers if you’re feeling fancy. For starters, sketch out facial features on the first few pieces to help your child get the idea, and leave the rest to their creative minds! 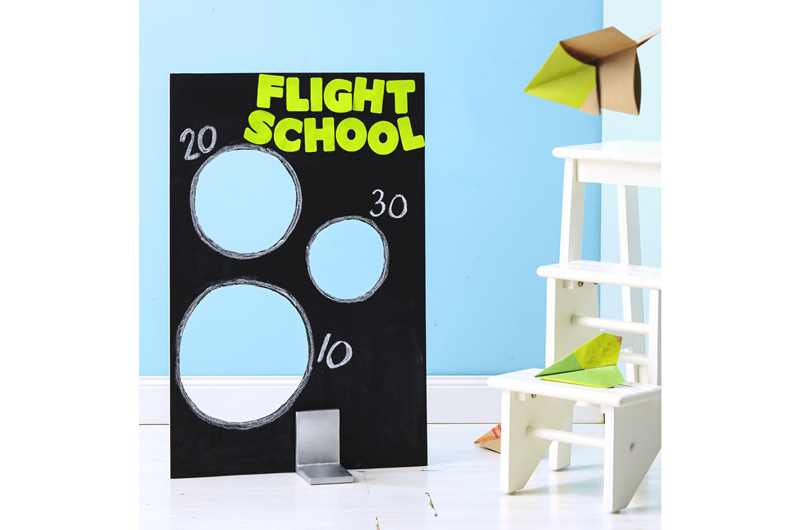 Bring the carnival to your house with this DIY target game. Simply cut holes in a piece of poster board and assign points to each. Let the kiddos fold their own paper planes, and encourage them to explore different folding methods to craft the most aerodynamic plane. Then watch as the kids send the planes soaring. PS: You can reuse the board for other target practice-themed activities, so don’t throw it out just yet. Round up your kids for the Froggigami Games! This (made-up) game extends the fun of folding origami frogs to challenging mini games to see which hopper can jump the furthest. 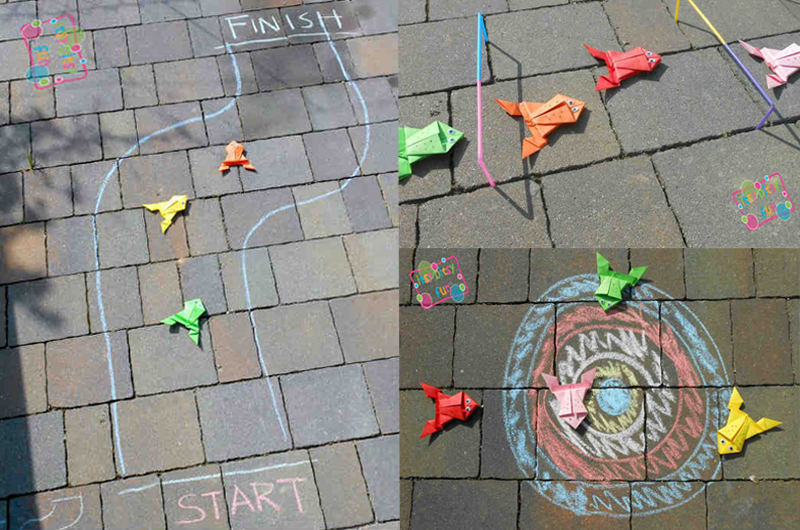 From Obstacle Jumps (hopping origami frogs over obstacles) to Frog Race (jumping frogs through chalk-drawn tracks), your children will be entertained all afternoon. 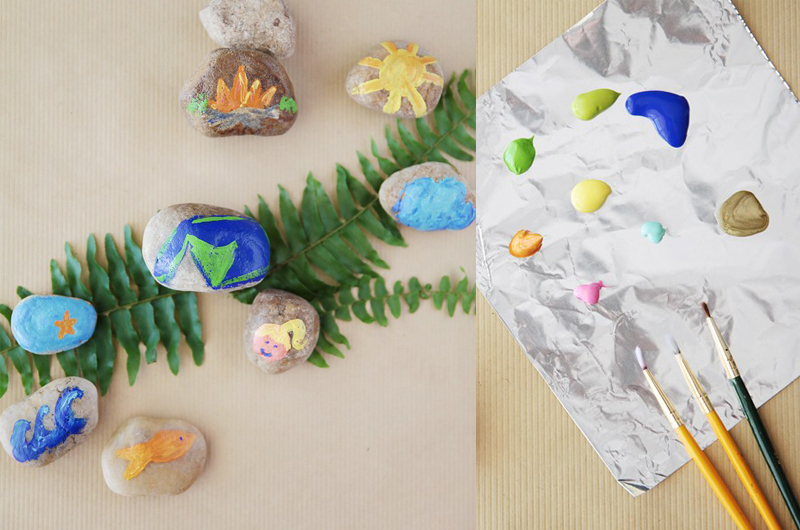 Elevate pebble painting to the next level by transforming them into Story Stones. Instead of simply painting whatever comes to mind, have your child craft out a short story before painting on character and relevant scenes onto each stone. Not only does this activity allow parents a sneak peek into their child’s creative mind, it encourages imaginative play, and builds sequencing and story-telling skills. Ps: Use washable paint if you’d like to reuse the pebbles after each story session.